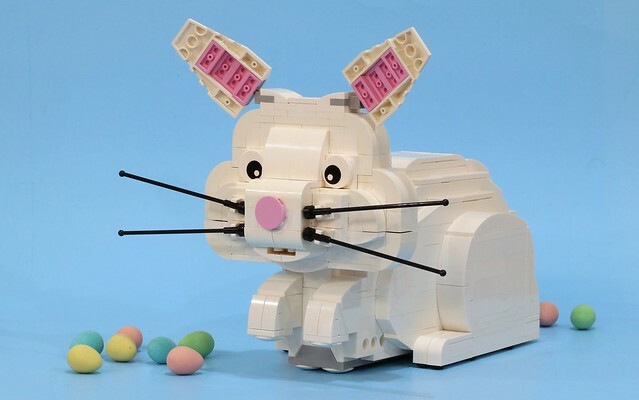 Easter is right around the corner, and to celebrate, JK Brickworks has made another fantastic MOC: a motorized Easter Bunny that hops and poops real chocolate eggs. As a rabbit owner myself, I can vouch for this MOC's accuracy (although, sadly, my rabbits do not poop chocolate). JK made a video showing off "Winston" in action here.